Many old master paintings are lost, but luckily some of them survive in copies by pupils, and then it can happen that an alleged copy, carefully restored and freed from overpaintings, turns out to be the original. 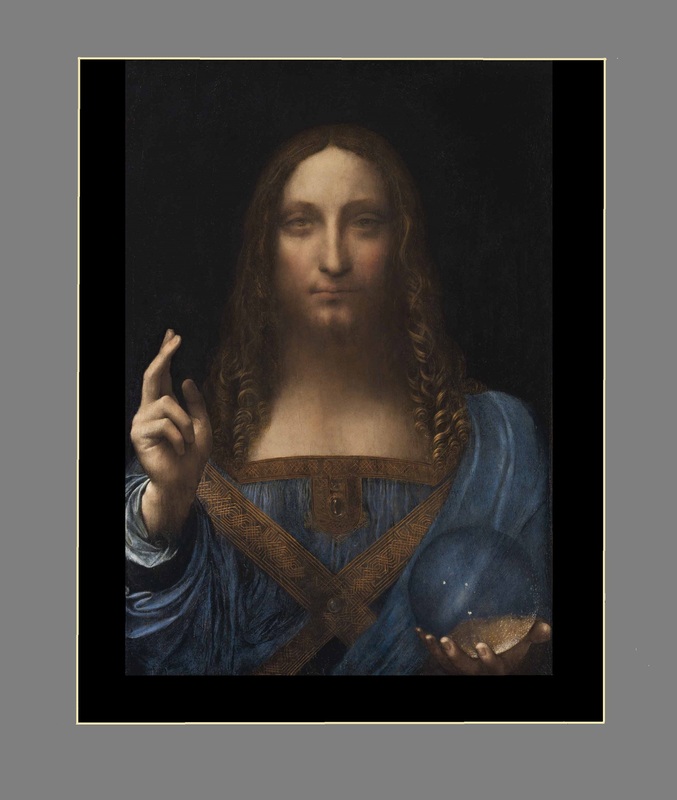 This miracle happened with a Leonardo copy ascribed to Giovanni Beltraffio. Dianne Dwyer Modestini restored it, removed the old overpainting, and recognized a masterpiece from Leonardo’s hand, well preserved in several parts, less well in others. 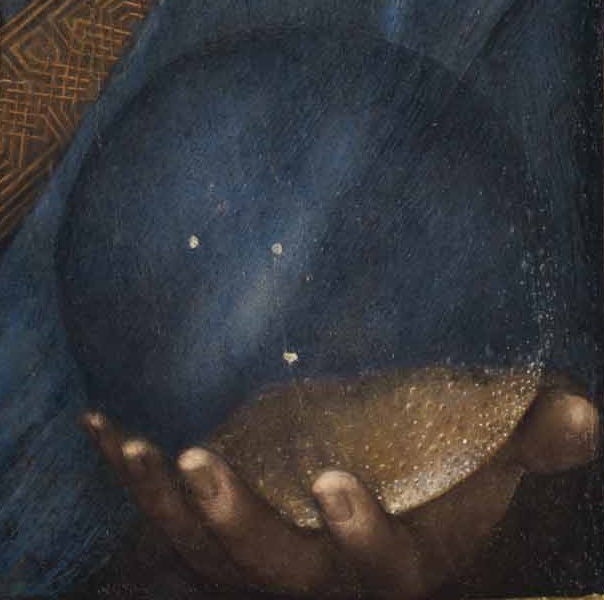 The panel shows God in the appearance of Christ, looking at us frontally, surrounded by blackness, eyes veiled, forehead shining, his beautiful mouth giving the impression as if he had just spoken, holding a crystal ball in his left hand (on the right side), raising his right hand (on the left side), and pointing with his shining middle finger to the base of his parting (Scheitelansatz). Lines and diagonals of the grid 10 x 8 explain several features of the composition, especially the fingers of the raised hand, but while the base of the parting (Scheitelansatz) is well defined in several Leonardo paintings, here it can’t be fixed (at least not rationally), and this, I believe, holds meaning. We admire and study the world, feel the presence of a divine hand in the marvels of nature, but we can’t really explore God’s mind.